BeeBee Cowl was knitted with bulky yarns. 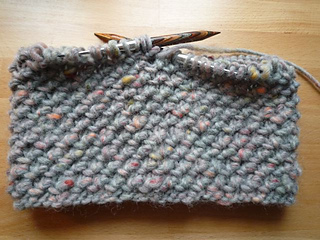 It is a fast, easy and satisfying knit. It looks on the rs a little like the surface of an apiary. 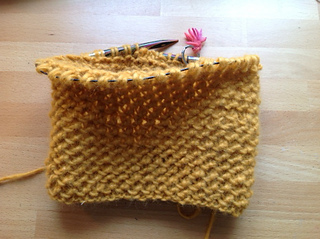 The yellow BeeBee Cowl is a featherweight and was knitted exactly with one skein of Royalpaca yarn. Light weight yarns can also be used for a wider, lacy cowl. 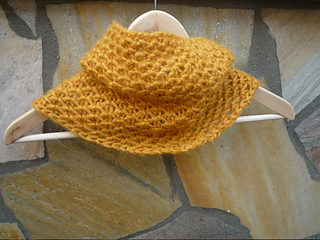 BeeBee cowl is a free sized project, knitted on the ws. 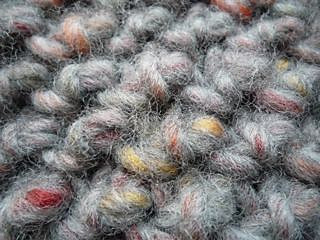 CO an odd number of stiches in a round, adapting the gauge of the yarn you wish to use, to the width you like best. Many thanks to Anea for test knitting BeeBee Cowl and for her support.